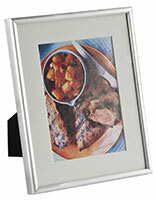 This silver picture frame is perfect for your livingroom, office, or storefront as it is designed for any tabletop. 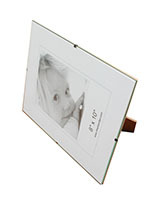 This actual holder is a great alterantive to digital framing, and looks contemporary, with a slide-in mechanism that makes it easy to load. 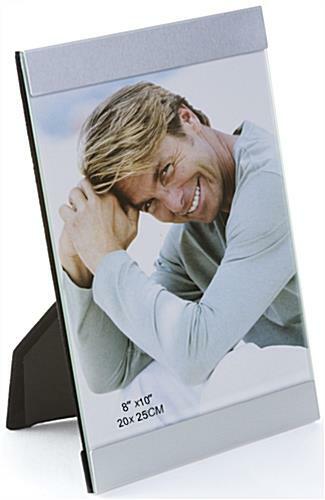 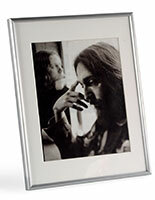 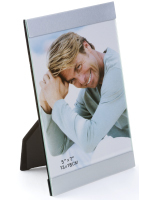 This picture frame features a protective lens to keep the image free of finger prints and dust. 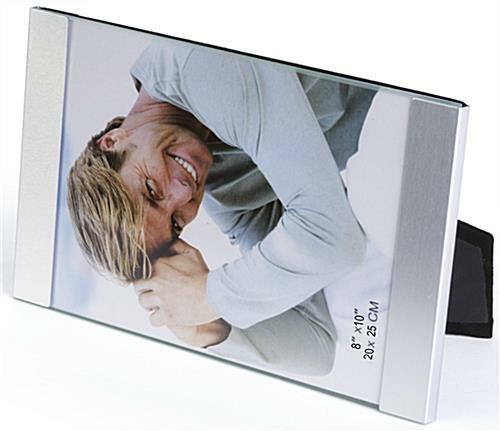 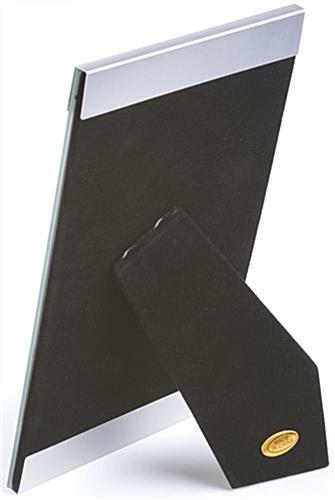 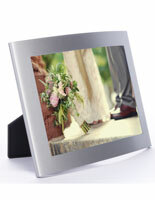 This 8" x 10" photograph holder is as beautiful as it is durable - because it is made of sturdy aluminum! Position this frame in horizontal or vertical orientation so all of your favorite images can be displayed! 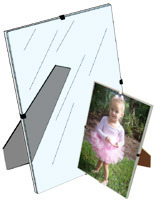 To use this frame, just sandwich a photograph or art work in between the backer and lens, slide the borders in place, and voila! 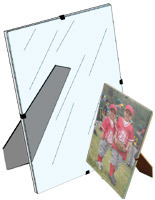 7.9" x 10.3" x 0.25"